● That face-up monster is unaffected by other Spell effects this turn. ● That face-up monster is unaffected by Trap effects this turn. 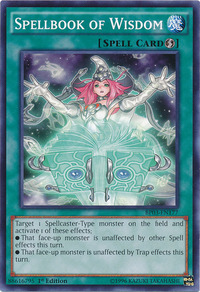 High Priestess of Prophecy appears in this card's artwork. This card's Japanese name is a reference to the Torah. You choose which effect to apply upon activation.